It is estimated that the number of new laws passed by Parliament in the last 10 years exceeds all the laws passed by all SA Parliaments since Jan van Riebeeck landed at the Cape. This blog post deals with only two of the many Acts of Paliament passed this year alone. The Taxation Laws Amendment Acts are the laws which confirm what the Minister of Finance said in his Budget Speech earlier in February this year. Sometimes, however, there are minor changes between what was said and what the printed Act says, and so one must wait for the gazetting of the new law, which usually appears in the 3rd or 4th quarter of the year. The new tax laws will apply to the current tax year ending February 2009 (if the taxpayer is an individual) or to any fiscal year ending on or after 1.1.2009 (if the taxpayer is not an individual). This blog deals with the changes to Partnerships and Pension funds; elections by beneficiaries following the death of a member; the commutation of lump sums; and the withdrawal benefit. ii) partners who were previously employees of the same firm. Furthermore, their contributions as newly promoted partners were limited to a percentage of their salary during their last year as employees. The result was that their contributions to the firms pension fund were effectively frozen and could not keep up with inflation. of the firm be treated equally. Other proposed changes are, upon the death of a member of a pension fund, to remove the restrictive 6 month period within which a surviving beneficiary must elect to receive a lump sum amount (as opposed to a monthly annuity/pension). Since trustees often take longer than 6 months to locate and verify the beneficiary, this 6 month period was felt to be too short, and will now fall away. 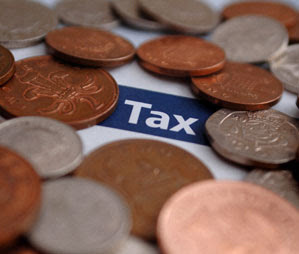 The lump sum, which is restricted to one-third of the total value of benefits available, will still be taxed at an average rate of tax in the hands of the deceased estate, while an annuity/pension derived from the balance of two-thirds (or three-thirds if no lump sum is chosen) will be taxed in the hands of the receipient beneficiary. Other changes are that, if a member seeks to commute the whole of a small pension at his retirement, or his beneficiaries seek to commute the whole pension at his death, the total pension/RA fund value must be taken into account when calculating whether the value of the full commutation is R75 000 or less. If it is more than this figure, the commutation will not be allowed, and only one-third may be commuted into a lump sum. On withdrawal from a pension fund, the amount of the withdrawal benefit is to be defined as the value of a member’s share in the fund in terms of the Fund Rules. Remember, this is for withdrawal, not for retirement. The taxation and financial planning issues surrounding saving for retirement, be that in a pension or provident fund, or a private RA Fund, are growing ever more complex, and this is why the State deemed it important to professionalise the financial advice industry and compel advisers to hold licenses and keep up to date. If your adviser holds the CFP qualification (Certified Financial Planner), then he or she can be trusted to provide sound financial planning advice.